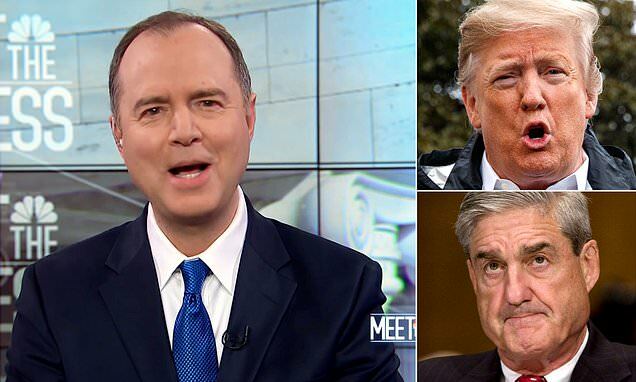 House Intelligence Committee Chairman Rep. Adam Schiff has said that he believes there are likely going to be further indictments from Robert Mueller as the full contents are his report are looked at in closer detail. Schiff suggested he would call the special counsel before a House panel if necessary to learn what is contained in the long-awaited document. 'If necessary, we will call Bob Mueller or others before our committee, I would imagine the judiciary committee may call the attorney general if necessary,' the California Democrat said during an interview on CNN. 'At the end of the day, the department is under a statutory obligation to provide our committee with any information regarding significant intelligence activities, including counterintelligence. And it's hard to imagine anything more significant than what Bob Mueller has been investigating. 'We're going to need to have the same sort of discovery that we saw during the last Congress, and indeed it may be far more extensive than that, to make sure that U.S. policy is driven by U.S. interest and not because the president or anyone around him is looking to make money from the Kremlin on a tower or anything else.